ESSEX— The zoning commission is expected to schedule a March 17 public hearing on a special permit application for a proposed 22-unit elderly and affordable housing complex that would be an expansion of the existing Essex Court elderly housing complex in the Centerbrook section. The Essex Place development proposed by Essex Elderly and Affordable Housing Inc., a non-profit organization established by the Essex Housing Authority, would locate the 22 units, including four two-bedroom units, on a one-acre parcel on the west side of the Essex Court property. The housing authority established the non-profit group last year after receiving a $250,000 planning grant from the state Department of Housing to pursue a long-discussed expansion of elderly and affordable housing in town. The existing 36-unit Essex Court complex opened in 1985, and has been upgraded in recent years, but never expanded with additional units. The expansion plan received a setback last October, when the zoning board of appeals denied several variances that would be required under current town zoning regulations for the 22-unit complex designed by Quisenberry Architects of Farmington. But the EEAH group has filed its zoning permit application under state statute 8-30G, a law and process that is intended to promote additional affordable housing in Connecticut. Zoning Enforcement Officer Joseph Budrow said this week the 8-30G provision would allow the zoning commission to consider a permit application for the project without prior approval of variances from the ZBA. Budrow said the commission lacked a quorum at Monday’s meeting, but is expected to schedule a March 17 public hearing on the Essex Place application at its next meeting on Feb. 24. DEEP RIVER— Nancy Haslam, an East Haddam resident and former principal at Cohanzie Elementary School in Waterford, has been appointed as interim principal at Deep River Elementary School through the end of June. Haslam began working at the school on Jan. 2, replacing Jennifer Byars in the leadership position. Byars, a Deep River resident, announced in late November that she had accepted a position as assistant superintendent for the Ledyard school district. Byars, who had worked previously in Ledyard, was hired in June 2012, and served as principal in Deep River for about 18 months. She had replaced Jack Pietrick, who retired in 2012 after serving as principal at the Deep River school for 13 years. Haslam was interviewed by the Deep River Board of Education and appointed as interim principal at a Nov. 26 meeting. Haslam has a 40-year career in public education, serving most recently as principal at the Cohanzie Elementary School in Waterford. She is an elected member of the East Haddam Board of Education, and has served as board chairwoman. The school board will advertise the principal position in the spring, with a goal of hiring a new permanent principal for the school by the end of June. It took 28 individual bids at the auction before Madison resident Edmund Mormile won the right to purchase the forlorn property at 63 North Main Street in Essex. The purchase price was $142,000. “I have always liked Essex,” auction winner Mormile said after his successful bid had been recognized. Essex Attorney Jeannine Myszkowski, who conducted the auction, did so by acknowledging numbered cards held up by bidders who wanted their bids to be recognized. Soon there were only three bidders still in the completion, holding up their numbered cards. Finally, there was only one numbered card still being held up by a bidder, willing to pay the last and highest bid price. However, auction winner Mormile said after his victory that he was not willing to concede that the present structure could not be rebuild; although he said that building a new structure was an option. Either way, he said, there was a real possibility that he and his wife would move and live in Essex on the site. Auction winner Mormile is a retired educator, and he has a real estate license as well. He said that before making his bid, “I worked the numbers, and it made sense to do what I did today.” “It’s in a beautiful area,” he said, and the North Main location of the property was “a motivating factor to me” in purchasing the property. One final note, the sale must be approved by the state Superior Court. DEEP RIVER— The zoning board of appeals meeting that had been set for Tuesday evening has been rescheduled to Feb. 4 due to the Tuesday snow storm. The board’s public hearing is scheduled to begin at 7:30 p.m. in town hall. The board will hold a public hearing on an appeal from Raymond Galeotti of the conditions included in a zoning compliance certificate for a new 8,400 square-foot industrial building located at 16 Grove St. 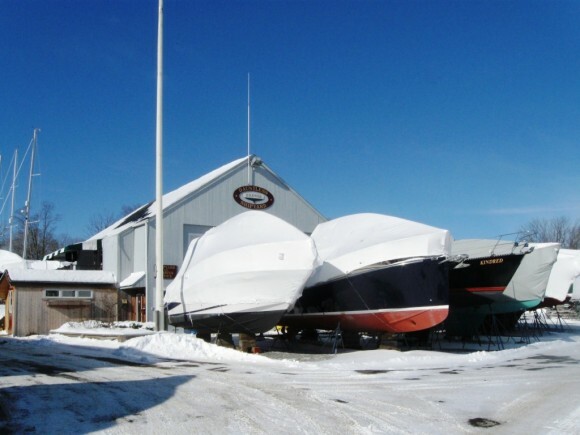 The planning and zoning commission in July 2012 approved a special permit for the building that was presented as part of an expansion of Galeotti’s existing business, Centerbrook Sales/Eve’s Addiction. The company that makes engraved jewelry for internet sales is located in an existing 6,600 square-foot building located on the 2.5-acre parcel at the end of Grove Street, a dead-end street extending south off Bridge Street. Zoning enforcement Officer Cathy Jefferson included a condition that the building was for an expansion of the existing business as part of the zoning compliance certificate that was issued for the completed building late last fall. But Jefferson learned in late November that Galleotti had advertised the new space for lease, and has not been using it for an expansion of the existing business. In the appeal, Galeotti is asking the ZBA to change the conditions of the zoning compliance certificate. The three shoreline towns of Essex, Deep River and Chester received the full brunt of the snow storm on January 21 and 22. However, recovery was quick, and in each of the three towns the main streets were completely cleared, and the secondary roads plowed and safe to drive on, by mid-morning at the latest. In fact, in the down towns at noon, it was even hard to tell that that there had been a major snow storm the night before. However, along the shore in Essex, and on the open fields of Deep River and Chester, the major storm had clearly left its mark. CHESTER— Town democrats and republicans selected town committees for the 2014-2016 term at party caucuses held earlier this month. The new two-year terms for town committees begin in March. Democrats have selected a 25-member town committee that includes four new or returning members. New members include Karen Badger, Marta Daniels, and former Old Saybrook First Selectman Roger Goodnow, who moved to Chester in 2012 after serving previously as the elected judge of probate in Old Saybrook. Returning to the committee is former school board member Lynn Pease. Six members of the current town committee stepped aside, including Robert Bibbiani, Lawrence DeBernardo, Pastelis Kehayias, John Yrchik, Issac Ruiz, and Margaret Meehan. Incumbents returning to the Democratic town committee include Samuel Chorches,, Lori Ann Clymas, Joe Cohen, David Fitzgibbons, Robert Gorman, Errol Horner, Arthur Heneck, Charlene Jenecek, Henry Krempel, Justin Kronholm, Suzane Levine, First Selectman Edmund Meehan, James Miller, James Ready, Sandra Senior-Dauer, Lynne Stiles, Selectman Lawrence Sypher, Jane Zanardi, former selectman and current committee chairman Peter Zanardi, and Kurt Zeimann. Republicans have selected a 26-member town committee that includes two new members, Alex Strekel and Virgil Lloyd. Stepping aside from the current committee is Alexa Jamieson. Incumbents returning to the Republican town committee are current committee chairman Mario Gioco, Laura Gioco, Ashley Marsh, former Selectman Bruce Watrous, Beverly Watrous Joyce Aley, Joel Severance, Selectman Tom Englert, Terri Englert, Karl Ohaus, Tracey Ohaus, joni Malcynsky, David Clark, john Hutson, Kristan Seifert, Melvin Seifert, Carolina Marguez-Sterling, Maria Ruberto, Victor Hoehnebart, Jill Sakidovitch, Brian Sakidovitch, Jamie Grzybowski, Doreen Joslow and Jon Joslow. 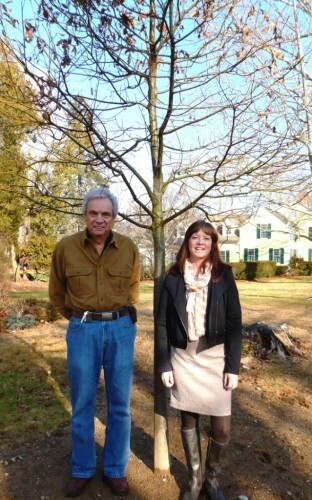 In 2012 the Essex Community Fund donated $500 to the Essex Tree Committee so that the Essex Tree Committee could purchase and plant an English Oak at #7 Dennison Road. The English Oak (quercus robur) provides architectural elegance to any landscape. When fully grown, it has an imposing trunk and a broad-rounded habit with wide spreading branches. The 3-7 lobed, 2 to 5 inch long, rich blue green leaves remain until late fall with limited autumn color. This tree has adapted well from its native English countryside to the USA, from North Dakota to Utah to Georgia. It will grow to 40 to 60 feet high and wide. Augie Pampel, Tree Warden carefully selected the location on Dennison Road so that the tree would eventually show off its natural beauty. Fred Weber Associates planted the tree. 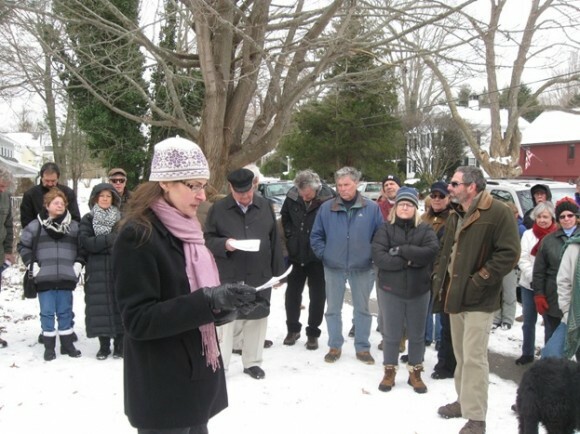 Ms. Lauren Caiazzo, ECF Secretary said that as part of its mission, the Community Fund is committed to the preservation and protection of Essex’s natural environment, including planting trees. Since the 1940s ECF has given grants to help local non-profits provide services and enhance the quality of Essex, Centerbrook and Ivoryton. Augie Pampel recently thanked Ms. Lauren Caiazzo, (pictured), for the Community Fund’s generous donation. The Essex Tree Committee looks forward to continued collaboration with the Essex Community Fund in its efforts to protect the natural beauty of the villages of Essex. If you or your organization would like more information about tax deductible tree donations, contact Augie Pampel, Tree Warden at augiepampel@att.net. If you like to read books on a regular basis, joining one of the book clubs at the Essex Library is the thing to do. The library’s Executive Director, Richard Conway, is in overall charge of the library’s book clubs. In addition, he personally moderates the discussions of three of them. The other two book clubs are moderated by the library’s Programming Librarian, Jenny Tripp. Here is a look at the library’s five book clubs. This is the oldest of the library’s book clubs, and generally there are twenty to thirty book club members attending club meetings. Recent books discussed include, “Those Angry Days: Roosevelt, Lindberg, and America’s Fight Over World War II, 1939-1942” by Lynn Olson. Another recent selection was, “The Hopkins Touch” by David L. Roll, which highlighted the key role that Harry Hopkins played in the presidency of Franklin Roosevelt. One of the unique pleasures of the meetings of this book club are the comments of two members who are retired college professors, Richard Buel and John Osborn. Hearing these two debate various nuances of American history is an extra pleasure. Jean Luburg, an active member of the book club, says that she first thought that being a member of a book club, “was a stupid idea.” Now, she has completely changed her mind and says being a member of the book club is “fantastic.” Luburg is also pleased that the library director Conroy personally comes to the Meadows to moderate the club’s discussions. A recent book discussed by the club was, “The Curse: Big Time Gambling’s Seduction of a Small New England Town” by Robert H. Steele. Library Director Conroy also moderates this book club, which meets at the Essex Library. He says that this book club, “read quality literature, both fiction and non-fiction.” Recent club selections are, “My Beloved World” by Sonya Sotomayor; “Long Halftime Walk” by Billy Lynn; and “Slaughter House Five by Curt Vonnegut. Another selection of this book club was Carlos Eire’s, “Learning to Die in Miami.” The author, who is a Cuban refuge, was a recent guest speaker at the Essex library. This book club, which is also moderated by Jenny Trip, has read such classic books as; Thomas Mann’s “Magic Mountain,” “The Leopard” by Giuseppe di Lampedusa, and classic books from “Beowulf to Brideshead Revisited,” according to Tripp. 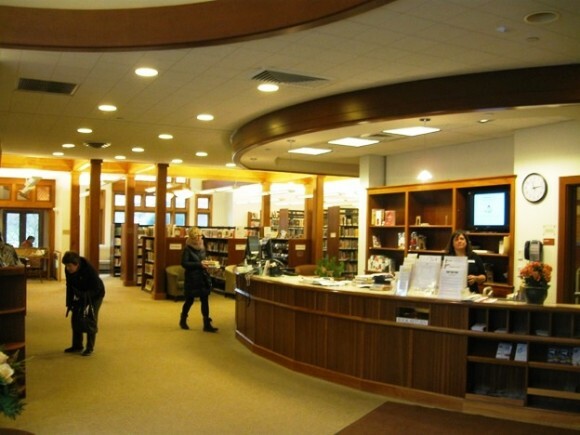 The interior of the Essex Library, where four of the library’s five book club are held. The fifth book is held at Essex Meadows. 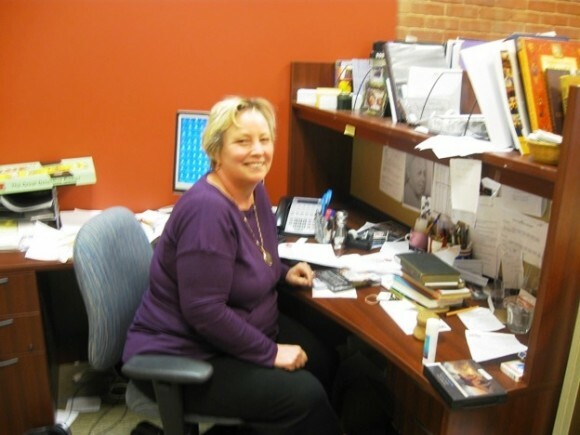 Library Director Conroy says that by personally moderating the book clubs, “it gives me the opportunity to really interact with our library patrons, and they get to know me as well.” Conroy brings an impressive academic background to the book club meetings. He has a B.A., and an M.A. in Library Science, from Connecticut Central University. He also has an M.A. from Trinity College in Hartford. Conroy says, “I am a voracious reader,” which is fortunate, because he has to keep up with the reading assignments of three very active book clubs, in addition to his administrative duties at the Essex Library. As for Programming Librarian Jenny Tripp, she also has other responsibilities at the library besides moderating book club discussions. They include organizing and publicizing the library’s adult programs, setting up film showings, and editing the library’s newsletter, Ex Libris. It’s a full plate for a part time employee. The latest round of “French bashing” has been circulating on the internet, touching a nerve among the French social networks . On January 3rd, Newsweek journalist Janine di Giovanni published on the magazine’s website (Newsweek has ceased to appear on news stands for around a year) an article titled, “Fall of France.” She is a successful correspondent covering the war scene in the Middle East, but her only qualification to write about France is that she has been living in Paris for 10 years. Two days later, the Newsweek editor reiterated its attack on France in another article, this time, “How a Cockerel Nation became an Ostrich.” That article, in fact, repeated the recommendations addressed by the European Commission to the nine countries of the EU (European Union), France among them. Di Giovanni’s general message is that the decline of France has greatly accelerated under the Socialist government of François Hollande and that the “French model” of a providence state (the author calls it a “nannie state”) is not sustainable. This is not an original point of view and the French themselves are frequently criticizing their own system and trying to modify it. The American-born journalist has written an entertaining and clearly poorly researched article. She backs her arguments with a mixture of true, false and, sometimes, outrageous information, which make the piece quite entertaining. Challenges, a well-established French weekly magazine dealing with economy, and reliable web sites, such as Decodeurs.com, have gone to the trouble of analyzing point by point di Giovanni’s story. The most glaring mistakes she makes concern the excessive taxes. She writes: ” Since the arrival of the Socialist President François Holland in 2012, the income tax and social security have rocketed. The top rate is 75 percent and a great many pay in excess of 70percent.” In fact, in 2011 (that is under Nicolas Sarkozy) the top income tax bracket was 43.7 percent and today it is 45 percent. The tax of 75 percent is only paid by the very rich with an income of over one million Euro. By decision of the Conseil Constitutionnel, the tax of 75 percent is not considered as a separate tax bracket. It has only been paid by 11,960 households. Furthermore, the tax is not paid by the individuals, but by the firm which employs them. Finally the Newsweek journalist may have mixed up income tax with the amount paid by the employer (including social benefits), which resulted in a doubling of the numbers. Commentators had a field day with some hilarious statements made by di Giovanni. There is no word for entrepreneur in French, she claims. Apparently she forgot that the word entrepreneur is French! Another is quoting the price of a liter of milk as being six euros when it is only 1.33. An online reader commented that the author must shop at the most expensive gourmet Grande Epicerie of the luxury department store of Bon Marché. From her bourgeois apartment near the Luxembourg garden in the 6th District – the most expensive in the capital – she has a strange perception of what real life is like for the working population. Talking about nurseries, for instance, she writes that they are free, can be found in every neighborhood and provide free diapers. In fact, only some 13 percent of the middle class can afford nurseries and they have to pay roughly 9 percent of their income for using them. 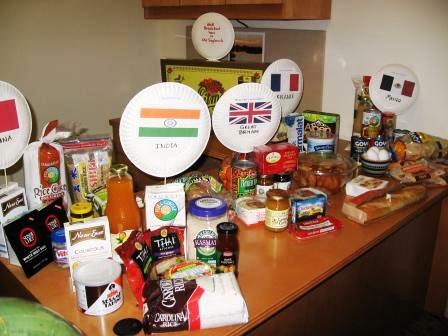 The French seem to regard such “bashing” as stimulating … and it certainly keeps them on their toes. The George Washington bridge is the busiest vehicular traffic bridge in the world. We’ve read a lot about the George Washington Bridge (GWB) in recent weeks. And the scandal over who ordered closure of approach lanes from Fort Lee, N.J., only underscores how crucial this bridge is to the entire region. All of which got me thinking about the GWB and its history. 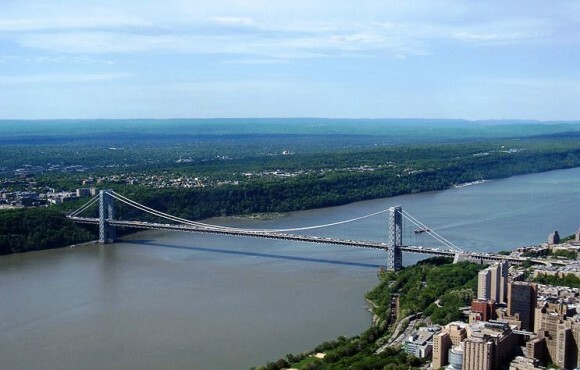 Surprisingly, the GWB was not the first bridge design to cross the Hudson River. As early as 1885, there were discussions of building a suspension bridge to bring the Pennsylvania Railroad into Manhattan at about 23rdSt. A later design in the 1920’s foresaw a double deck, 16-lane-wide roadway (with 12 tracks for railroad trains on the lower level) at 57th Street. But it was in 1927 that work began on the GWB much farther uptown at 179th Street. The $75 million single-level bridge carrying six lanes of traffic opened in 1931 and was widened by two lanes in 1946. Originally the bridge was going to be called The Bi-State Bridge, The Bridge of Prosperity or The Gate of Paradise (really! ), but it was a campaign by school kids that ended up honoring our first President. The original designers had planned for the future and, in 1961, the lower level, six-lane “Martha Washington” bridge opened to traffic, increasing total capacity by 75%. Because we usually approach the bridge from the east or west, it’s hard to appreciate its enormity until you’re right on the structure. But from any angle it’s a beautiful bridge, showing its bare criss-cross girders and bracing, which were originally to have been clad in concrete and granite. The GWB is recognized by civil engineers and architects alike as one of the most beautiful in the world. In its first year of operation the bridge carried five million vehicles. Last year it carried 102 million. On opening day, the toll was 50 cents each way. Today the one-way toll for autos (only collected eastbound) ranges from $9 (EZ Pass off-peak) to $13 (cash). But pedestrians can still walk across for free (when the sidewalk is open). Those walkways, while affording a wonderful view of the city, also have a dark side as the GWB was scene of a record 18 suicides (and 43 attempts) in 2012. On an average weekday, 17,000 bus passengers rely on the GWB’s own bus terminal built atop the Trans-Manhattan Expressway (not the Cross Bronx) on the Manhattan side. There they can catch the A train or the Seventh Avenue IRT. The bus station is undergoing a $180 million renovation. The bridge itself is a living thing. It creaks and groans, moves and sways and it needs constant maintenance. In 2011, the Port Authority announced an eight-year, $1 billion project to replace the bridge’s 529 vertical suspender wire ropes. In addition, lanes on the upper level are being closed (at night) to replace steel plates on the road surface. All of which means more jobs and, eventually, higher tolls. 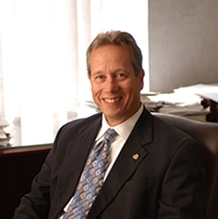 Essex, CT – Gregory R. Shook, President & Chief Executive Officer of Essex Savings Bank announced January 17, 2014, “We are extremely proud to report available contributions of $223,373 from our Community Investment Program in our 163rd year”. The Bank annually commits 10% of its after tax net income to qualifying organizations within the immediate market area consisting of Chester, Deep River, Essex, Lyme, Madison, Old Lyme, Old Saybrook and Westbrook. This program provides financial support to over 200 non-profit organizations who offer outstanding services to the ever-increasing needs of our communities. By year end, a total of $3,896,917 will have been distributed since inception in 1996. Essex Savings Bank customers determine 30% of the fund allocations each year by voting directly for three of their favorite causes, charities or organizations who have submitted applications to participate. Ballots will be available at all Essex Savings Bank Offices between February 1 and March 15 to determine an allocation of $67,012. The Bank’s Directors, Senior Officers, Branch Managers and Essex Financial Services, Inc., the Bank’s subsidiary, will distribute the remaining 70%, or $156,361. Act II Thrift Shop, Inc. * Bikes for Kids, Inc. * Brazilian and American Youth Cultural Exchange (BRAYCE) * Bushy Hill Nature Center * Camp Claire, Inc. * Camp Hazen YMCA * CDE (Chester, Deep River, Essex) Cooperative Nursery School * Chester Historical Society * Chester Land Trust, Inc. * Common Good Gardens, Inc. * Community Music School * The Connecticut River Museum at Steamboat Dock * The Country School, Inc. * The Deacon John Grave Foundation * Deep River Ambulance Association, Inc. * Deep River Elementary PTO, Inc. * The Deep River Fire Department * Deep River Historical Society, Inc. * Deep River Junior Ancient Fife & Drum Corps, Inc. * Deep River Land Trust, Inc. * Dog Days Adoption Events, Inc. * Essex Ambulance Association, Inc. * The Essex Art Association, Incorporated * Essex Community Fund, Inc. * Essex Elementary School Foundation, Inc. * Essex Elementary School Parent-Teacher Organization, Inc. * Essex Fire Engine Company #1 * Essex Historical Society, Inc. * Essex Library Association * Essex Winter Series, Inc. * Estuary Council of Seniors, Inc. – Meals on Wheels * Florence Griswold Museum * Forgotten Felines, Inc. * Friends In Service Here (F.I.S.H.) * Friends of Hammonasset, Inc. * Friends of the Acton Public Library * Friends of the Chester Public Library, Inc. * Graduation Night, Inc. – Old Saybrook * High Hopes Therapeutic Riding, Inc. * Hope Partnership, Inc. * Ivoryton Playhouse Foundation, Inc. * The Katharine Hepburn Cultural Arts Center, Inc. * Literacy Volunteers – Valley Shore, CT, Inc. * Lyme Ambulance Association, Inc. * Lyme Art Association, Inc. * The Lyme Fire Company, Inc. * Lyme Land Conservation Trust, Inc. * Lyme-Old Lyme Education Foundation * Lyme-Old Lyme Safe Graduation Party, Inc. * Lyme Public Hall Association, Inc. * Lyme Public Library, Inc. * Lymes’ Elderly Housing, Inc. (Lymewood) * The Madison ABC Program, Incorporated (aka Madison A Better Chance, Inc.) * Madison Ambulance Association, Inc. * Madison Community Services, Inc. * The Madison Foundation, Inc. * Madison Historical Society, Inc. * Madison Land Conservation Trust, Inc. * Maritime Education Network, Inc. * Musical Masterworks, Inc. * Old Lyme Children’s Learning Center, Inc. * Old Lyme Historical Society, Inc. * Old Lyme-Phoebe Griffin Noyes Library Association * Old Saybrook Education Foundation * Old Saybrook Fire Company Number One, Inc. * Old Saybrook Historical Society * Old Saybrook Land Trust, Inc. * Pet Connections, Inc. * Potapaug Audubon Society * The Region 4 Education Foundation, Inc. (R4EF) * Scranton Library, Madison (aka E.C. Scranton Memorial Library) * The Shoreline Soup Kitchens & Pantries * Sister Cities Essex Haiti, Inc. * Tait’s Every Animal Matters (TEAM) * The Touchdown Club, Inc. (Valley Regional High School/Old Lyme High School Football) * Tracy Art Center, Inc. * Tri-Town Youth Services Bureau, Inc. * Valley Baseball-Softball Booster Club, Inc. * Valley Shore Animal Welfare League * Valley-Shore YMCA * Visiting Nurses of the Lower Valley, Inc. (VNLV) * Vista Vocational & Life Skills Center, Inc. * Westbrook Project Graduation, Inc. * Westbrook Youth and Family Services, Inc. * The Woman’s Exchange of Old Lyme. ESSEX— The town has been included in a recent lawsuit involving the Essex Veterans Memorial Hall because of its status as a fall back owner of the building and property located off Route 154 in the Centerbrook section. The lawsuit, filed last month in Middlesex superior Court by local attorney Michael Peck, springs from a dispute that developed among EVMH members last year. Peck, a Chester resident who is a veteran, contends local resident Michael Bergeron, a Gulf War veteran, was permanently, and improperly, banned from the club area that serves alcoholic beverages, and also from participating in townwide veterans events held at the property. The building, a former school that includes a bar area and a meeting room, was town property in 1946 when, at the request of returning World War II veterans, it was conveyed by a town meeting vote to an entity listed as Essex Veterans Memorial Hall Inc. for use as a meeting hall for area veterans. It has been used in subsequent years as a meeting hall for the local Veterans of Foreign Wars post, and also occasionally by other veterans groups. The surrounding, triangle-shaped property is the terminus of the town’s annual Memorial Day Parade and site of the November 11 Veterans Day ceremony. The property also contains a granite war memorial, listing the names of all local veterans dating back to World War I, that was erected in 2001. Peck contends in the lawsuit that his research indicates that Essex Veterans Memorial Hall Inc. forfeited its non-profit status in 1971 after failing to file required annual reports with the Secretary of the State’s Office. The suit also contends a newer Essex Veterans Memorial Hall Inc. established in 1993 has also not filed required reports for recent years. EVMH is governed by a board of directors that is comprised of area veterans. The lawsuit also claims the bar operation at the hall is under investigation by the state Liquor Control Division for alleged violations of liquor control laws. Peck, in a recent statement on the case, said Bergeron is asking the court to clarify the status of the property and the Essex Veterans Memorial Hall Inc. organization that is charged with supervising it. He said Begeron wants the property to be maintained as a meeting hall for area veterans. Jerry Lamark, a Chester resident who is the current president of EVMH, this week declined to comment on details of the lawsuit. Lamark said the hall remains open seven days each week, and continues to offer the meeting room for use by the VFW or any other veterans organizations. Lamark said the hall’s board of directors has retained an attorney, and are working to resolve any outstanding issues related to operation of the bar. “We’re trying to save the hall,” he said. First Selectman Norman Needleman said last week the town views lawsuit as “an internal issue” for the veterans groups, and would like to limit its involvement in the case. “I want them to resolve their issues and function to the benefit of local veterans,” he said. The board of selectmen has discussed the lawsuit in closed sessions at two recent meetings. DEEP RIVER— The zoning board of appeals has scheduled a Jan. 21 public hearing on an appeal of the zoning status for a new 8,400-square-foot industrial building at 16 Grove St. The meeting begins Tuesday at 7:30 p.m. in town hall. Raymond Galeotti, owner of Centerbrook Sales/Eve’s Addiction, a jewelry engraving business focused on internet sales, is appealing the conditions on a certificate of zoning compliance issued by late last fall by zoning enforcement Officer Cathy Jefferson. The planning and zoning commission in July 2012 approved a special permit for the new industrial building as an expansion of the existing 6,600 square-foot industrial building located on a 2.5-acre parcel, at 16 Grove St., a dead-end street extending south off Bridge Street. Galeotti had said during the commission’s public hearing on his permit application the expansion would add about five new jobs to the company’s workforce. The permit was approved for an expansion of Galeotti’s existing business, with Jefferson including that condition as part of the certificate of zoning compliance for the recently completed structure. Jefferson said earlier this week that she learned in late November that Galeotti had advertised the new space for lease, and has not been using it for an expansion of his existing business. In other business, the board’s Jan. 21 agenda also includes consideration of a “settlement proposal’ from resident George Bartlett for a lawsuit against the ZBA involving his property at 444 Main St., on the south end of town. Bartlett filed suit against the board in the fall of 2012 amid a dispute over whether the board had approved a variance allowing a used car dealership in the industrial building on the west side of Main St., also known as Route 154. The planning and zoning commission objected to what it contended was an improper use variance for the car dealership, and the ZBA later determined it had granted only a dimensional variance of the road frontage requirement for the property. In subsequent months Bartlettt has leased most, but not all, of the building to a small manufacturing business, and most recently, for a dog dare care business that received a special permit approval from the planning and zoning commission last month. 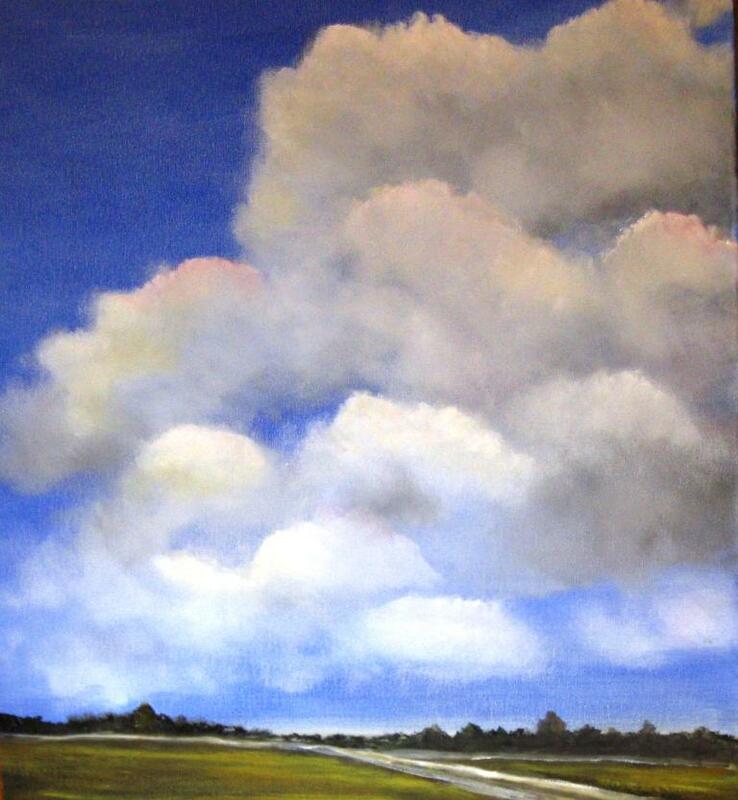 Clouds, clouds, and even more clouds, that is the first thing that strikes a visitor in viewing the paintings by Essex artist, Luisa Kreis Whiting. In many of Whiting’s paintings, the clouds receive far more emphasis then the ground below. There are thirteen original paintings by Whiting presently on display at the Essex Library. They are located on the wall across from the check-out desk, and along the walls of the library’s program room as well. Whiting, who has spent a lifetime as a painter of pictures, has a Bachelor of Arts degree from Virginia Commonwealth University in Richmond, Virginia. As for the style of her paintings she says seeks to emulate the work of the American master, Edward Hopper. “He is my ideal,” she says, mentioning specifically “the hard-edged light” that she finds in Hopper’s paintings. In addition to her paintings of clouds, Whiting in other painting seeks to portray the classic simplicity of the houses in New England, and a number of paintings on this subject are in the exhibit. 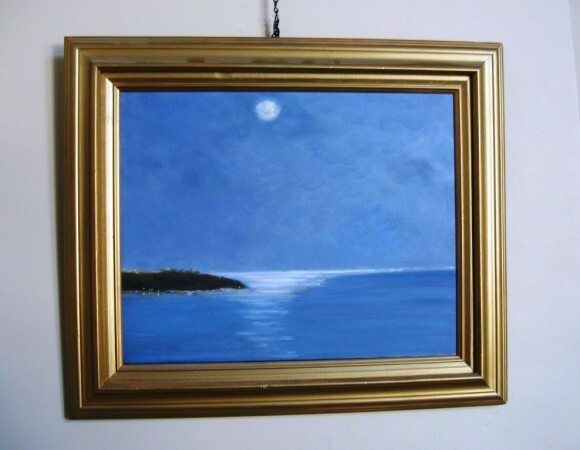 As for Whiting’s background, she is an Artist Member of the Essex Art Association, and her paintings have been exhibited in the Left Bank Gallery in Essex, the Town Hall in Clinton and at the Essex Yacht Club. As regards her family, she has three daughters and five grandchildren. For a period Whiting living in Richmond, Virginia, where she had a number of exhibitions of her works. However, she feels that, “The taste for art is much better here [in New England] than in Virginia,” although she has high praise for the mansions found in the south. Whiting is the daughter of a major American artist, Henry Kreis. Kreis was an immigrant from Germany, who proudly became an American citizen. His creative works are featured in a number U.S. government buildings in Washington, D.C., and he designed the official medal for the 1939 World’s Fair in New York City, among many other government commissions of his art and sculpture. Also, Whiting’s father loved Essex and made the town his home for very many years. Now, his daughter, Luisa, is back in town, displaying her own works at the Essex Library. ESSEX— Town Democrats and Republicans selected town committees for the 2014-2016 term at party caucuses and nominating sessions held over the past week. 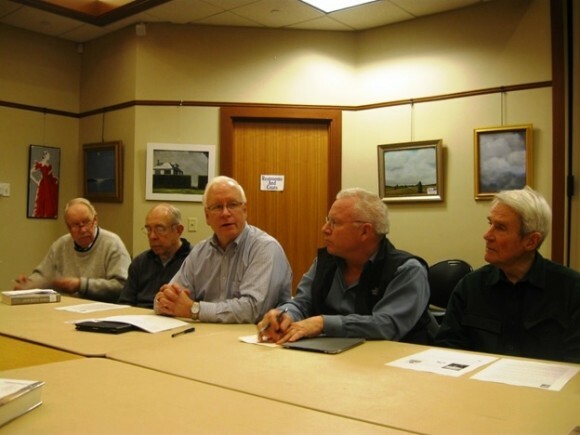 The new two-year term for town committee members begins in March. Democrats, who have held the elected majority on the three-member board of selectmen since 2003, selected a 27 member town committee, leaving three seats open on a total authorized membership of 30. Members were asked to confirm their interest and intent to serve before Tuesday’s endorsement session, with three current members stepping down from the committee, including Matthew Cooper, Earl Fowler, and Lee Rowley, who served as town chairman in the early 2000s. The 27 member committee is comprised entirely of incumbents, including Cathy Bishop, Mark Bombaci, Brian Cournoyer, William Doane, former First Selectman Carl Ellison, Lois Ely, and Geraldine Ficarra,. Also newly elected Town Treasurer James Francis, Frank Hall, Tax Collector Megan Haskins, Campbell Hudson, Jonathan James, Louisa Ketron, Loretta McClusky, and State Rep. Phil Miller. Also First Selectman Norman Needleman, Mary Ann Pleva, Selectwoman Stacia Libby, Lon Seidman, Stanley Sheppard, Lawrence Shipman, Deputy Secretary of the State James Spallone, John Stannard, Claire Tiernan, Kathleen Tucker, committee Chairman Fred Vollono, and Alvin Wolfgram. Republicans selected a 26-member town committee at a party caucus last week. Three members stepped down from the panel, including Lynn Faulstick, Leigh Rankion, and Elizabeth Schellens. Committee member and former Republican State Central Committee member Neil Nichols died last July. The committee includes five new or returning members, including Selectman Bruce Glowac, who served as first selectman from 1991-1995 and was elected to the board again last year, Robert Fisher, Peter Decker, James Palagonia, and Melanie Phoenix. Decker and Palegonia were the party’s unsuccessful candidates for board of finance in the only contested races of last year’s town election. Incumbents returning to the GOP panel are John Ackerman, Susie Beckman, Herb Clark, committee Chairman Edward Cook, Alexander Daddona, Ann Dixon, D.G. Fitton, Adrienne Forrest, John Heiser, James Hill, Donna Hyde, Jerri Macmillian, 2011 first selectman nominee Bruce Macmillian, newly installed Town Clerk Joel Marzi, Barbara Ryan, David Sousa, Terry Stewart, Alice Van Deursen, Gary Van Deursen, and June Wilson. DEEP RIVER— Town Democrats and Republicans have selected town committees for the 2014-2016 term after party caucuses held over the past week. The new town committee terms begin in March. Democrats have selected a 26 member town committee that has three new members, Janet Edgarton, Stephen Bibbiani, and Karol Tulp Magee. Two members of the current committee stepped aside, John Bairos and Stella Beaudoin. 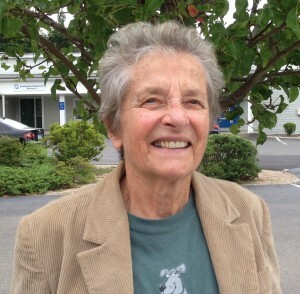 Democrats have controlled the majority on the three-member board of selectmen since First Selectman’s Richard Smith’s election to a second term in 1991. Incumbents returning to the Democratic panel include Carmela Balducci, Leigh Balducci, former Speaker of the House Richard Balducci, current committee Chairwoman and Tax Collector Lisa Bibbiani, Cindy Cosme, former Selectman Richard Daniels Jr., Dorothy DeMichael, Bruce Edgarton, Nancy Fishbach, Joanne Grabek. George Howard and Carol Jones. Also Ann Joy, Jonathan Kastner, Russell Marth, Mary Maraschiello, Selectman Angus McDionald Jr., Alan Miezejeski, Roy Monte, Valerie Nucci, Mark Reyher, Carol Smith, and Richard Smith. Republicans have picked a 16 member town committee that includes two new members, Michelle Grow and Doug Nagan. 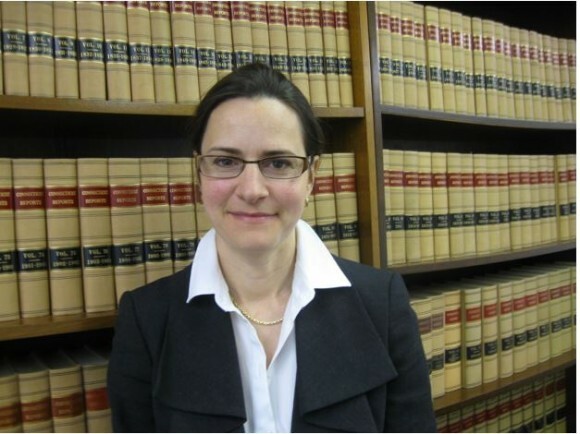 Three members of the current committee stepped aside, Mary Brownlee, Robert Edgeworth, and Margot Gamerdinger. Incumbents returning to the Republican panel include committee Chairman Gargory Alexander, Louise Cowan, Douglas Dopp, William Harris, Alice Johnson, Town Treasurer Thomas Lindner, Joyce Winterstein, Selectman David Oliveria, Rolf Peterson, Donald Routh, Grace Stalsburg, Cynthia Stannard, Rosemary Unan, and Town Clerk Amy Winchell. 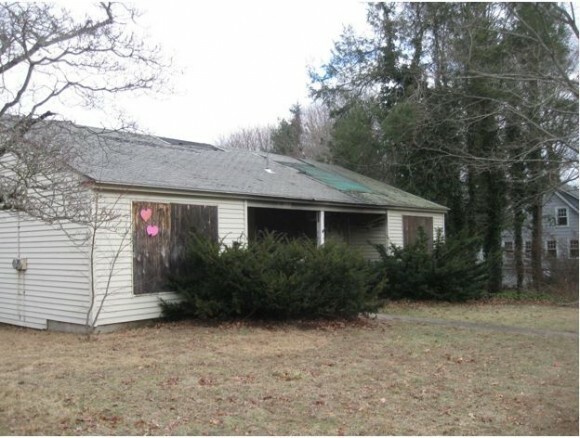 After literally years of waiting, Essex’s number one eye sore, the decaying property at 63 North Main Street at the corner of New City Street and across from busy Grove Street, will be up for sale at a court-ordered, public auction on Saturday, Jan. 25. The auction will begin at noon and persons wishing to inspect the property beforehand can view it from 10 a.m. on the day of the auction. A $150 deposit by check will be required from all bidders at the auction. 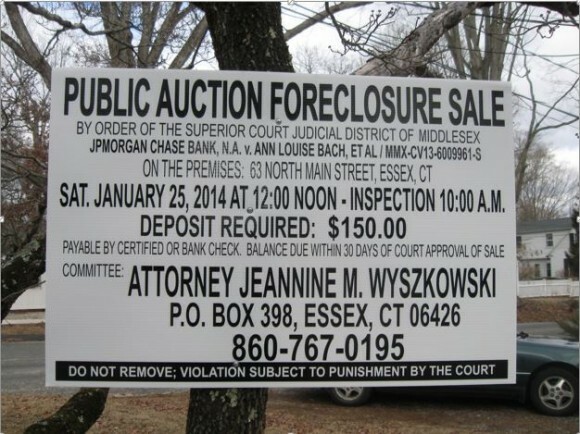 The checks should be made payable the bidders themselves, and they should be given before the auction to Essex-based Attorney Jeannine M. Wyszkowski, who is conducting the auction. She will hold the checks until the conclusion of the auction. Then she will return all checks, except the check of the winning bidder, whose check will be retained. To answer further questions about the auction, Attorney Wyszkowski can be reached at her law office at 860-767-0195, or by writing her at P.O. Box 393, Essex, CT 06046. To date Attorney Wyszkowski says there has been “lots of interest” from potential buyers of the property being auctioned. A number of prospective buyers have told Attorney Wyszkowski that they would renovate the present property on the site, if they had the winning bid. Others have told her that they would tear down the present building on the site and put up a new one. In addition, there has been some discussion of turning the property into a public pocket park. As to how the auction will proceed, the bank that presently holds the property may make an opening bid of $130,000, according to Attorney Wyszkowski. Then, after this sum has been announced, she might ask for a bid of $140,000. If this bid accepted, and there is no further bidding, that would be the final sale price of the property. Or, of course, if there were other bids from registered buyers, the bid price could go higher and higher. Attorney Wyszkowski is confident that the bidding will go smoothly. “I have done it before,” she says. Goodspeed Musicals’ Board of Trustees announced today that a change in leadership will occur at the theatre after the 2014 season. Michael Price, who has led the organization for 45 years, has decided to retire from the position of Executive Director at the end of 2014 but will remain active with Goodspeed in advisory and fundraising roles through 2016. 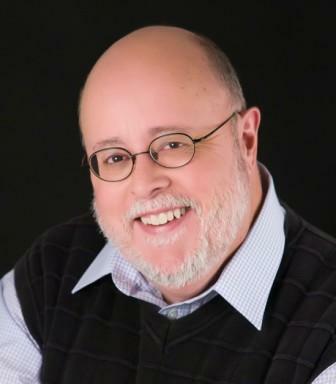 “Michael Price has been an extraordinary and tireless leader of Goodspeed Musicals for virtually its entire existence. In 1968, he arrived at a small, struggling summer theatre and built it into one of the most respected, artistically successful and financially secure theatres in the country. The institution he entrusts to his successor is among the elite of American artistic institutions, having shaped musical theatre for generations of audiences and artists from our East Haddam and Chester stages to Broadway and beyond. We are extremely grateful for Michael’s service and leadership,” said John F. (Jef) Wolter, President of the Goodspeed Board of Trustees. “I have had the honor and the privilege of leading Goodspeed Musicals for more than 45 years but believe with my whole heart, that the time has come to pass the reins onto someone new who will lead the institution into its next phase. The greatest joy is working with the most incredible theatrical team ever assembled, a team that together will take Goodspeed to even greater heights. I look forward to working with our Board of Trustees and staff during the transition period,” said Michael Price. “It has been my privilege and thrill to lead Goodspeed and help make theatre magic. Every Goodspeed production has been a joint effort between our audience members, our Board of Trustees, our supporters, our amazing staff and some of the most talented artists—both on the stage and behind the scenes—to ever work in theatre. 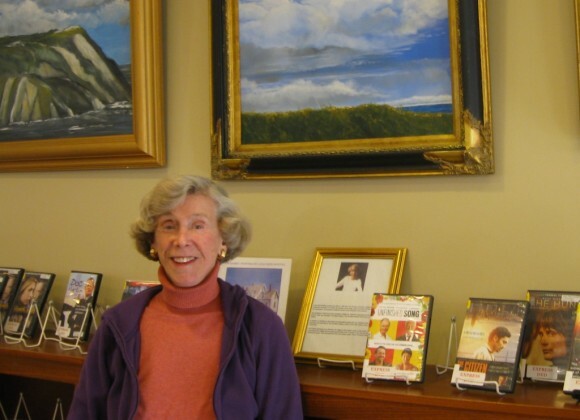 I know that with their continued passion and support, Goodspeed’s future is brighter than ever,” added Price. The Board of Trustees will conduct a national search for a new Executive Director who is expected to assume leadership of Goodspeed in late 2014. “The Board of Trustees and our staff have been preparing for this transition and are extremely confident that Goodspeed’s future is bright and secure,” said Wolter. “We are also excited about the search process and the prospect of bringing a worthy successor to Michael into the Goodspeed family. Goodspeed will continue to provide the world-class musical theatre experience that our audiences expect at the Goodspeed Opera House and The Norma Terris Theatre,” added Wolter. Dedicated to the preservation and advancement of musical theatre, Goodspeed Musicals produces three musicals each season at the Goodspeed Opera House in East Haddam, Conn., and additional works at The Norma Terris Theatre in Chester, Conn., which was opened in 1984 for the development of new musicals. The first regional theatre to receive two Tony Awards (for outstanding achievement,) Goodspeed also maintains The Scherer Library of Musical Theatre and The Max Showalter Center for Education in Musical Theatre. 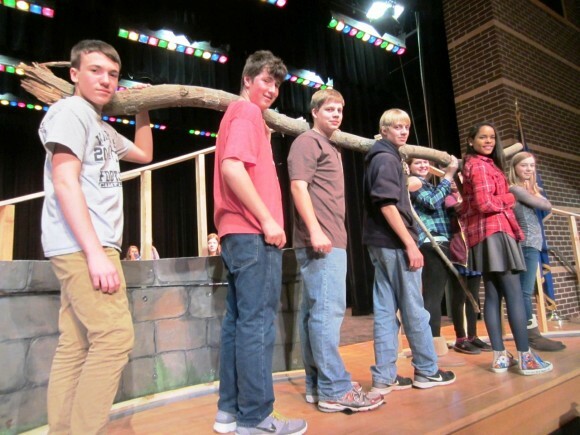 Valley Regional Musical Productions cast and crew members help move a tree limb to be used to construct the set for the production of THE SECRET GARDEN on March 14-16 at Valley Regional High School. (from l-r): Greg Magruder, Zach Crosby, Dan Leffingwell, Michael Leffingwell, Madison Estelle, Eryn Star, Olivia Wilkinson and Charlotte Boland. Deep River, CT – Despite a few early snowstorms and a prolonged holiday break, Valley Regional Musical Productions cast and crew has been eagerly cultivating the production of The Secret Garden, with four performances scheduled for March 14 through March 16. Based on the classic novel by Frances Hodgson Burnett and set in Victorian England, the emotionally deep story of struggle and survival will be told through lyrics/book by Marsha Norman and music by Lucy Simon (sister of Carly Simon). With a total of 116 students participating, including 76 cast members, 34 crew members and 6 orchestra pit musicians who will be partnered and mentored by 15 professional musicians, the production’s large vocal ensembles, varied set designs and challenging mix of music should be well tended. As the production’s title suggests, nature plays a key role in the story and presents one of a few new challenges in casting and staging according to VRMP Director Ingrid Walsh. “One important role is Robin, an English robin who lives in the secret garden and imparts many life lessons while interacting with the other characters,” stated Ms. Walsh. “We have decided to use puppetry to bring Robin to life and have reached out to puppetry schools for guidance and assistance. It will be a great learning experience and very exciting for all of us to stretch our creative technique.” In addition to the human and non-human characters, the cast also includes several ghosts and scenes with the ghosts remembering a past moment in time. Special choral groups and projection will be used to help the audience distinguish between characters and place in time. Tickets for the musical are $10 each and will go on sale in early February at Valley Regional High School in Deep River, Gather in Ivoryton, Toys Ahoy! in Essex, Celebrations in Deep River and The Wheatmarket in Chester. More information will be available at the school’s website at www.vrhs.reg4.k12.ct.us. Anyone with experience in the field of puppetry and interest in helping with the development of Robin should email Ingrid Walsh at mailto: iwalsh@reg4.k12.ct.us or call the school’s office at 860-526-5328. ESSEX— The board of selectmen will delay action on any possible changes to the town’s delay of demolition ordinance, seeking input from the Essex Historical Society and the planning commission before considering any changes that would be brought to the voters for approval at a town meeting. The board discussed possible changes to the 2004 town ordinance, which includes a 90 days delay of demolition rule for structures older than 75 years, at a Dec. 18 meeting, First Selectman Norman Needleman suggested several possible changes, including setting a fixed date of 1900 for houses and other structures to qualify for the delay of demolition rule, and requiring the town historian and Essex Historical Society to request a delay of demolition for a structure. The current ordinance allows any resident to petition the building official for a 90 days delay of demolition on a structure older than 75 years, for a current trigger date of structures built before 1939. It was these possible changes, particularly the 1900 trigger date, that brought several members of the historical society to Wednesday’s meeting to raise objections. The group included appointed town historian Chris Pugliuco, Eve Potts, and Shirley Malcarne, window of the late long-time town historian and author Donald Malcarne. It was Malcarne, who had written several books about the town’s historic structures, that pushed for adoption of the ordinance, and the current wording, in 2004. Potts said she “strongly objects” to any changes that would weaken the ordinance She said the ordinance is doing what it was intended to do, providing a 90 days review period for structures that may have historic value. Pugliuco noted that many structures built in the 1920s, including factory houses and Sears Roebuck kit houses, have now become historically and architecturally significant. Needleman said the board’s review of the ordinance is just beginning, with no immediate plans to present any proposed revisions to a town meeting. He said the board would seek input from the historical society and the planning commission, and then hold a public hearing on any possible changes. Needleman added that he is “not close minded” about a 1900 trigger date for the ordinance, while adding that he was “never happy” with the current “rolling date” set at 75 years. Selectman Bruce Glowac said the board should be cautious in setting any fixed trigger date for the ordinance. CHESTER— The planning and zoning commission has rejected changes to the town plan of conservation and development that were requested by the Aaron Manor Nursing and Rehabilitation Facility, but in a carefully worded decision, gave the facility the option of pursuing a connection to the municipal sewer system. 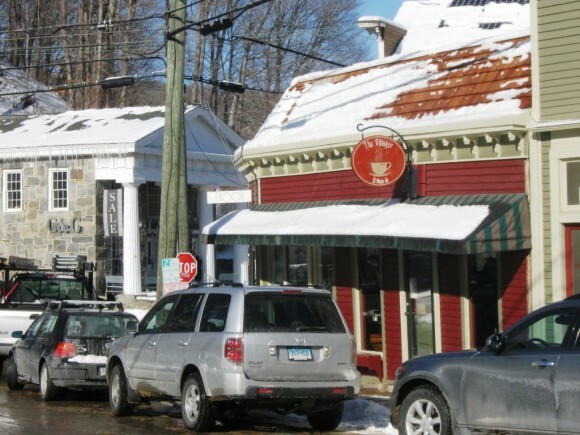 Aaron Manor representatives, along with many town officials and commission members, believed a revision to the 2009 town plan was necessary for the planning and zoning commission, and other town commissions, to consider any proposal to connect to the municipal system. This led to three months of discussion on the merits of revising the town plan, including a Sept. 12 informal public hearing, a November town meeting, and the formal public hearing with the PZC on Dec. 12. First Selectman Edmund Meehan, who had supported revising the town plan to provide an option for Aaron Manor, said the commission’s decision would give town agencies the option of considering any sewer connection proposal from Aaron Manor. “They left the door open,” he said. Engineers for Aaron Manor have said both options, constructing a new and larger on-site sewage disposal system that meets state approval, or constructing a new sewer line more than 1.5 miles east along Route 148 to connect to the municipal system, are very costly. Meehan has said any sewer connection would have to be funded by Aaron Manor, and would require approval from the town’s water pollution control authority and voters at a town meeting. 10) New Stations: Reflecting expanded demand for rail commutation, CDOT added new stations (and parking) at West Haven and Fairfield Metro in recent years. 9) Lost & Found: Metro-North runs one of the biggest and best Lost & Found operations in the country handling, over 50,000 items a year. 8) Package Tours: You might not realize it, but the railroad offers all sorts of package deals for big-city events, combining train tickets, admission and even hotel stays. 7) The Bar Cars: Metro-North is the only commuter railroad in the US that still offers patrons a bar car. There are only a handful of bar cars left, soon to be retired and possibly not replaced, so enjoy ‘em while you still can. 6) Online Tickets: You still can’t buy a ticket on the train using a credit card, but you can buy them online (and receive them by mail)… and they’re even cheaper (by 2%) than purchasing them at a ticket machine or Grand Central. 5) The TrainTime App: Forget about those old paper timetables and get yourself the new TrainTime App (for iPhone, iPad and Android). Not only does it show train times, but track numbers, any delays, fares and station information. And it’s free! 4) Expanded Schedule: The trains may be running slower, but there are more of them than ever before. Service on weekends has been expanded as ridership has grown and more cars were added to the fleet. 3) Grand Central Terminal: There is no more beautiful rail station in the world. And for the next 269 years it will be managed by the MTA, parent of Metro-North. Their renovation of the station completed in 2007 has turned a station into a destination. The shops, restaurants and open spaces are the envy of commuters everywhere… especially the poor “Dashing Dans” on the LIRR who arrive in the squalor of Penn Station. 2) The new M8 Cars: Years late in their design and delivery, the newest cars in the Metro-North fleet are clean, comfortable and much appreciated. With power outlets at every seat (and someday even WiFi), the first 300 of the M8 cars on order are proving themselves dependable even in winter weather. 1) On Time Performance: No matter how great the destination, how comfortable the train or how expensive the fare, nothing matters more to commuters than getting to their destination on time. Until recently, Metro-North had an enviable on-time performance in the upper 90%’s, a number I’m confident they can achieve again. For each of the items mentioned above Metro-North deserves credit. Can each be improved? Sure. But let’s see the glass as more than half-full and give the folks at the railroad their due. I still love Metro-North. I just want to be able to love it even more. After nine months as the leader of the 1.2 billion Catholics, what changes has Pope Francis made in the people’s lives ? That question can be answered on different levels. On Christmas Eve, the cathedral of Notre Dame in Paris was absolutely packed, with standing (and sitting on the ground) room only. Believers and visitors from around the globe wanted to share the most important time of the church year. The senior prelate of the cathedral, who was celebrating the Eucharist, instead of standing solemnly at the lectern to give his homily chose to walk through the nave all the way to the back of the church. A photographer and a sound engineer followed the priest as he mixed with the people in order to record the event for the nationwide televised program. From the very start, Pope Francis has been reaching out to the people, with simplicity and a joyful manner. His popularity was immediate and the crowds on Saint Peter’s Square multiplied. There is definitely a heightened fervor among the faithful and his style is spreading through the churches. To understand the impact of Pope Francis on more substantive levels, one has to study his exceptional background. 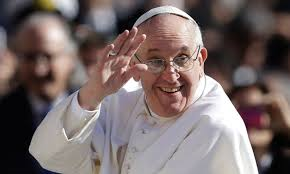 Born from Italian immigrants in Argentina, he is the first pope coming from the New World. At the same time, he has strong ties with Europe since he wrote his thesis in German. Besides that language, he speaks French English, Italian, Portuguese, and, of course, Latin. But the most important factor is that he is the product of two intellectual currents existing in the catholic church: Jesuit and Franciscan. To become a Jesuit, one has to study theology and philosophy for 15 years. This Catholic order, founded by Ignatius of Loyola in 1534, follows a strict obedience to the doctrine. At the same time, as a significant departure from his intellectual origins, he chose to be called Francis – a first for a pope. This symbolic choice made him the spiritual heir of St. Francis of Assisi. This background explains why he combines an unshakable attachment to the traditional doctrine regarding, for instance, the celibacy of priests, the excommunication of divorcees or the rejection of abortion, with his intent to be the “Pope of the Poor” and his openness to others. His first action will be to put the Catholic Church in order, following a number of human and financial scandals, which have shaken it over many years. Probably the easiest reform to implement will be to reorganize the Vatican’s administration and reduce the size of the Curie. With his own dislike for ostentation, he, himself, will be the best role model. Finally, he has an immense potential of influence in international affairs. He seeks dialogue with both Judaism and Islam. Vatican specialists describe him as the most charismatic and powerful personality in the world, particularly after Nelson Mandela’s death. It remains to see whether — and how – he will exercise this influence. 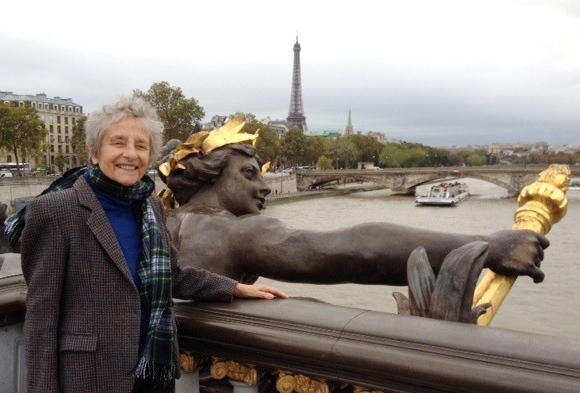 Nicole Prévost Logan, resident of Essex Meadows in the summer, Paris in the winter. Essex – Each year all six branches and the corporate office of Essex Savings Bank hold a holiday contest designed to help those less fortunate in the local communities. The goal of this year’s event was to collect food and non-perishables for the Shoreline Soup Kitchen as well as the food pantries in Chester and Madison. 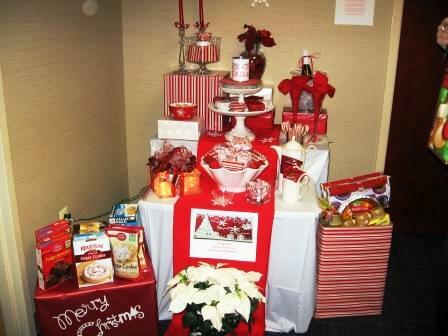 The festive displays at each office location centered on a particular food course, and the entries ranged from breakfast selections to desserts. Although this contest adds to the fun of the season, the deeper goal for all of the Bank employees is to help those in need as that is the true spirit of the season. All donations were at the employees’ expense and generated by their goodwill. As a result of everyone’s efforts, on Monday, Dec. 23, Essex Savings Bank employees delivered 845 pounds of food to the Shoreline Soup Kitchen. Additional donations were made to the pantries in Chester and Madison. Branch Manager/AVP Marla Bogaert serves on the Board of Directors for the Shoreline Soup Kitchen and a team of Bank employees volunteer to prepare and serve dinner throughout the year. The ingredients for these meals are collected through the generous donations from Bank employees. Editor’s Note: Essex Savings Bank is a FDIC insured, state chartered, mutual savings bank established in 1851. 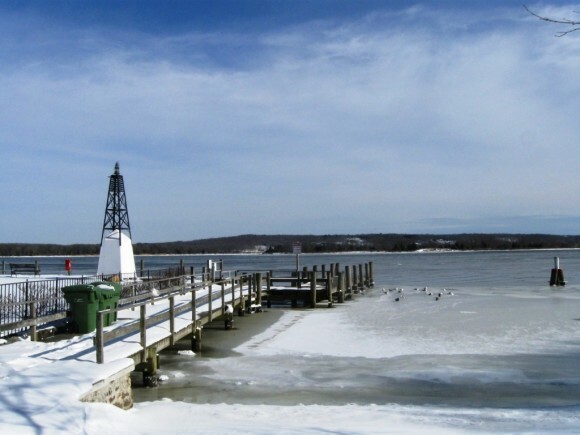 The Bank serves the Connecticut River Valley and shoreline with six offices in Essex (2), Chester, Madison, Old Lyme and Old Saybrook. Financial, estate, insurance and retirement planning are offered throughout the state by the Bank’s Trust Department and subsidiary, Essex Financial Services, Inc, Member FINRA, SIPC. Investments in stocks, bonds, mutual funds and annuities are not FDIC insured, may lose value and are not a deposit, have no Bank guarantee and are not insured by any Federal Government Agency. 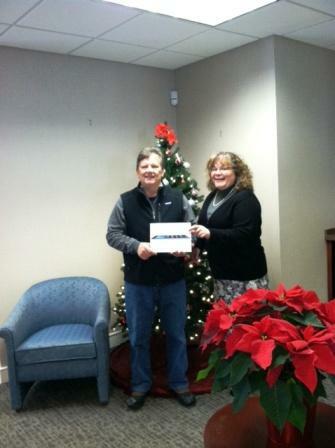 Branch Manager/AVP Lisa Berube with the winner, Michael Cressman of Chester. The Chester office of Essex Savings Bank opened its doors on December 14, 2012 and has been embraced by the local community. The anniversary was marked by a weeklong celebration at the branch. Customers were treated with appetizers, desserts, beverages, giveaways, and raffles throughout the week of December 9 through 14. All visitors to the Chester Branch were encouraged to enter their name for the grand prize drawing, an Apple iPAD. On December 17, President and CEO Gregory R. Shook selected the winning entry. Bank management is proud of the Chester Branch’s successful first year serving the Connecticut River Valley. 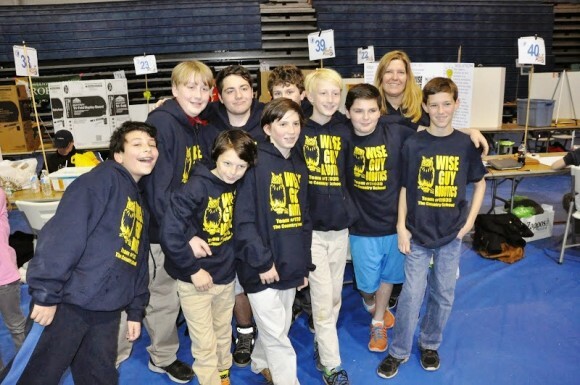 Members of The Country School’s Wise Guys Robotics Team at the First Lego League State Championship in December. Pictured, front row, left to right, are: Andre Salkin, Gordie Croce, Robbie Cozean, Ben Iglehart, Aidan Chiaia, and Joseph Coyne. Back row, left to right, are Nate Iglehart, Liam Ber, Emmett Tolis, and Coach Heather Edgecumbe. Missing from the photo is Sarah Platt. Madison, CT— Members of The Country School’s Wise Guys Robotics Team won two awards at the First Lego League state championships held at Central Connecticut State University in December. Of the 51 teams participating, the Wise Guys won a First Lego League core value award for Innovation and a second award from the Institute of Electrical and Electronics Engineers for the way they worked together to come up with an innovative solution to a problem. The IEEE award was accompanied by a $200 cash prize. This was the second year that The Country School has fielded a robotics team and the second time a TCS team has qualified for the First Lego League Connecticut state championship. The team qualified during a competition held in Old Lyme in the fall. In addition to the Wise Guys, The Country School also fields a team called the Archimedes Owls. Nineteen students in grades 5- 8 participated on the school’s two robotics teams. The Country School also offers a summer robotics camp and hosts periodic Robotics Nights on campus for the broader community. According to the First Lego League, the FLL Innovation Award is presented to a team that is “empowered by their FLL experience and displays extraordinary enthusiasm and spirit.” The award from the IEEE was presented to five teams who displayed an innovative solution to a problem caused by nature’s fury. The Country School team chose to focus on how towns can clear roads and clean up after blizzards in a safe and effective way. The Wise Guys remembered how hard it was for Connecticut towns to recover from last February’s blizzard. Team member Sarah Platt, an 8th Grader, interviewed John Bower, Director of Emergency Management for the town of Madison, to try to identify the biggest issues the town had to deal with during the blizzard. Team members then came up with a plan for a robotic plow which, while plowing, would send snow into a container. There, the snow would be melted down to water, which would later be deposited in a safe area. The Wise Guys are coached by Country School science teacher Heather Edgecumbe of Madison. In addition to Sarah Platt, a Madison resident, team members include Andre Salkin of Old Lyme (6th Grade), Gordie Croce of Killingworth (6th Grade), Robbie Cozean of Madison (6th Grade), Nate and Ben Iglehart of Guilford (both 6th Grade), Aidan Chiaia of Guilford (6th Grade), Joseph Coyne of Madison (7th Grade), Liam Ber of Westbrook (8th Grade), and Emmett Tolis of Madison (7th Grade). The Country School, founded in 1955, is a coeducational, independent day school serving students in PreSchool through Grade 8. At The Country School, a rigorous academic program is accompanied by a commitment to hands-on learning and discovery and a focus on the whole child. The robotics program is part of the school’s commitment to advancing 21st century skills through STEAM, or integrated science, technology, engineering, arts, and math. Learn more about Robotics and other STEAM offerings at The Country School by visiting www.thecountryschool.org/steam. The Country School will also have a special STEAM focus at its Open House on Sunday, January 26, from 1-3:30 p.m. Learn more at www.thecountryschool.org/openhouse. ESSEX-— The zoning commission has approved a one-year moratorium on any permit applications related to the new state law allowing medical marijuana. The unanimous approval at a Dec. 16 meeting puts Essex on a growing list of more than a dozen Connecticut towns that in recent weeks have adopted temporary limits on medical marijuana related applications. The moratorium, which was proposed by the commission and runs through the end of 2014, was approved after a public hearing where the temporary limit drew no objections. The commission will use the coming year to develop possible regulations for medical marijuana related growing facilities and dispensaries, and determine which, if any, zones in town such uses could be allowed under a special permit approval. The panel also continued a public hearing on the prohibition of certain commercial uses in the downtown Essex Village District. The prohibitions proposed by the commission include check cashing establishments, tattoo and massage parlors, adult-themed stores, and head shops. The public hearing will resume at the commission’s next meeting on Jan. 27. Archeologists investigated sites along the Connecticut River in Old Saybrook and Essex and discovered a variety of objects linked to the 1814 Raid. ESSEX – Following nearly six years of planning, historic research and archeological digs, the War of 1812 era battlefield site along the mouth of the Connecticut River is moving closer to receiving federal recognition. The British Raid on Pettipaug (Essex, CT) occurred on April 7 and 8, 1814. During this engagement, 27 American vessels were destroyed, resulting in the country’s largest loss of ships during the War of 1812. The Connecticut River Museum in Essex has spearheaded this effort. In 2012, the Museum received a grant through the National Park Service’s American Battlefield Protection Program to identify and document the British Raid in preparation for nominating it to the National Register of Historic Places as a battle site. If accepted, the battle site would include several locales: the Village of Essex; portions of Watrous Point; Ayer’s Point; and Saybrook Point. These areas along the Connecticut River include the peninsula of Essex which served as the British landing site, several period buildings, and locations of former shipyards where ships were burned. Also included are sites along the River in Old Saybrook, where Americans fired on the enemy in an attempt to prevent their escape. As a next step for battle site designation, the State Historic Preservation Board will meet to review the nomination at their scheduled meeting on January 27, 2014. In preparation for this meeting, the Connecticut River Museum will host a short information meeting with project archeologist Kevin McBride from the Mashantucket Pequot Museum and Research Center, whose team has conducted the field work in this project, and Stacey Vairo, State Historic Preservation Officer. The meeting is free and open to the public and will take place on Tuesday, January 21at 5:30 PM at the Connecticut River Museum, 67 Main Street, Essex, CT. Following the State review, the application will most likely move to the national level. It is the intent by many in Essex to have the nomination completed in time for the bicentennial of the event in 2014. For more information about the proposed nomination and National Register process, please contact the State Historic Preservation Office at 860-256-2766. The Connecticut River Museum is located on the Essex waterfront at 67 Main Street and is open Tuesday – Sundays from 10 a.m. to 5 p.m. The Connecticut River Museum, located in the historic Steamboat Dock building, offers exhibits and programs about the history and environment of the Connecticut River. For a full listing of event details, go to www.ctrivermuseum.org or call 860-767-8269. CHESTER—Trustees for the Chester Library have scheduled a Jan. 11 public information forum on a new expansion plan for the library building that would focus most of the new space on an underground lower level. 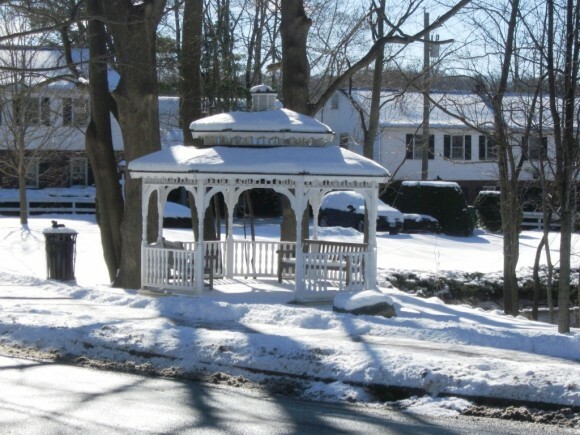 The “community conversation” on the new expansion plan begins at 10 a.m. at the Chester Meeting House, with a snow date set for Saturday Jan. 25. The trustees and library supporters have been working for nearly two years to develop a plan to expand the historic 1907 library building and make the structure fully accessible for handicapped persons. Using a $20,000 state grant, the trustees hired a South Windsor architectural firm to prepare preliminary expansion plans. A plan for a 2,000 square-foot expansion, with a $3.09 million estimated price, that would double the size of the existing building drew a mixed response from residents at two information forums held early this year. Library representatives presented the new plan to the board of selectmen at a Dec. 3 meeting, and were urged by the selectmen to hold another public forum to test community reaction to the new plan. Based on the public response, there could be a request for town funding for red test borings that would confirm feasibility of the new plan. The goal is to bring an expansion plan to the town’s voters in a bonding referendum sometime in 2014. Customer Service Manager Kevin Hunt (left) and Adams Manager Jeff Prindle present DRFD Chief Tim Lee with a check for the Department. 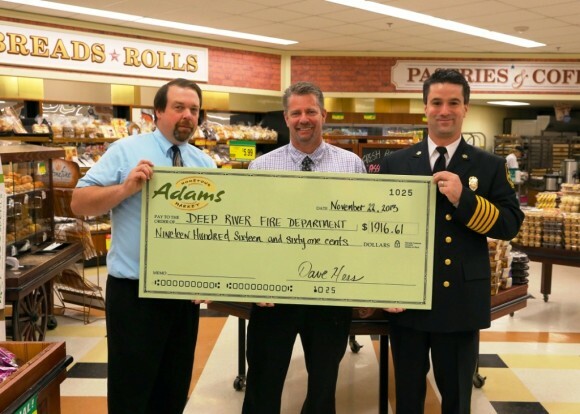 Adams Hometown Market in Deep River sold paper fire alarms and held a hotdog fund raiser in support of the Deep River Fire Department. According to Adams Manager Jeff Prindle ” It is our responsibility to support an organization of men and women who are willing to protect their community 24/7. Due to the support of our community, we are able to provide the vehicle in which to do this”. In thanking Adams for their support, Fire Chief Tim Lee commented ” The Department appreciates this very generous gift. This financial support will allow us to purchase tools and equipment necessary to provide the best possible protection in an ever changing fire fighting world. This year’s Tritown competition was the best ever. 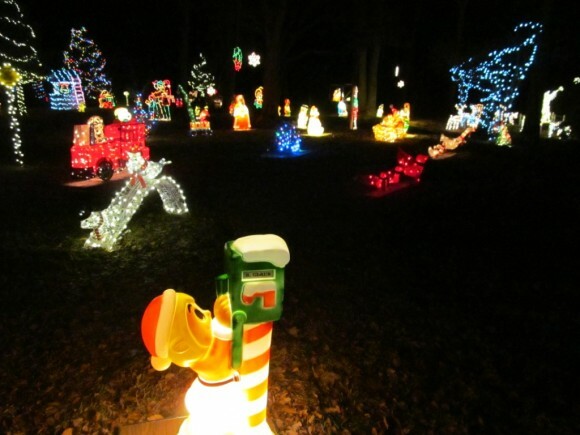 The number of entrants was a record and the quality of the displays was remarkable. This year’s winning entrant was Will Grote of Cedar Lake Road, Deep River. Thanks to the generosity of our sponsors, over 15 prizes were awarded, which is, also a new record. Thank you to everyone who participated in the competition and for making this the best competition ever. News Channel 8 recently partnered with Kidde, The Home Depot, and the Burn Center and the Trauma Center at Bridgeport Hospital to present Operation Save a Life; a life-saving program designed to increase public awareness of fire and carbon monoxide dangers. One of the cornerstones of this program is the distribution of smoke alarms to Connecticut families in need. 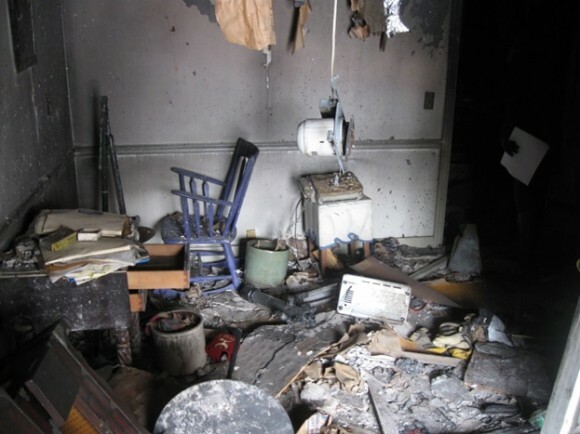 You are going to want to make sure that you keep your home safe from fire, the various precautions to take are going to make sure that the smoke alarms are up-to-date to make sure they are working properly. 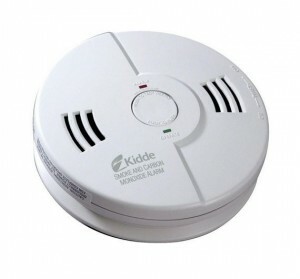 The Deep River Fire Department has a limited number of these smoke detectors and carbon monoxide detectors that we will install for free in your home. Please call the Deep River Fire Department at 860-526-6042 and leave a message if you or anyone you know is in need of a smoke detector or carbon monoxide detector. Someone will return your call and schedule a time for installation.